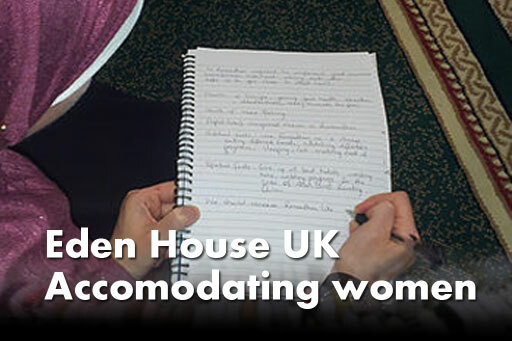 Eden houses UK offer supported housing accommodation for women and children. Being a female only environment, we are unable to accept boys over the age of puberty. The category of support we offer ranges from low to medium need cases, including domestic violence, discrimination, mental abuse, forced marriage, homelessness, individuals who have been rejected due to their religion, as well as other concerning issues. We promote a family orientated ethic in our houses; encouraging residents to work together as a team with our experienced staff supporting them. We specialise in culturally sensitive issues and individuals from BAME backgrounds. Our Sheffield branch is newly refurbished and many of our family rooms have en-suite bathrooms. Residents can have access to ICT facilities, commual kitchens and relaxation spaces. Our houses are located within easy reach of local shops and facilities. Is to provide a temporary home for women and children in desperate need of support. Currently, Eden Houses UK has two properties; one in Birmingham with capacity for 12 people and the other in Sheffield with capacity for 14 people. In the future we aim to build a network of hostels across the UK to accommodate the requirement of women to have a safe and secure place to live. Eden House UK is a dedicated group of people striving to take vulnerable women and their children off the streets and out of difficult circumstaces .We offer them emotional support in a culturally sensitive envisonment as well as helping them with employment skills, education, independant skills (cooking, cleaning, budgeting) in addition offering a domestic abuse survivor course called the ‘Freedom Programme’ .